On March 4, 1801, Thomas Jefferson walked from his rooming house at New Jersey Avenue and C Street in Washington, DC (about a block from today’s Union Station), to the Senate Chamber in the new, under-construction, Capitol building for his inauguration as the third U.S. President. 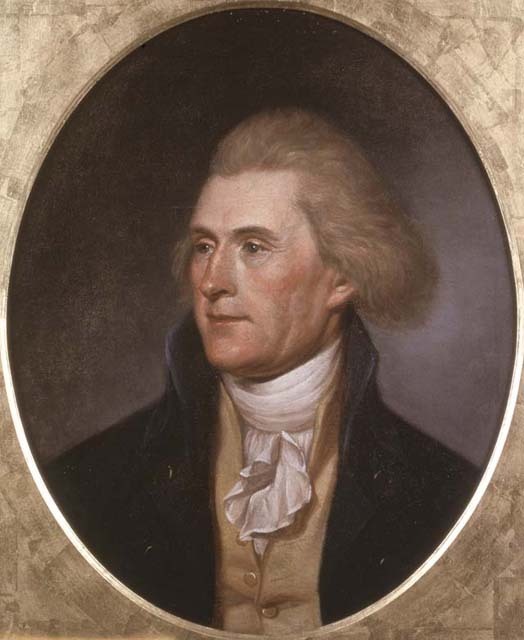 Jefferson, the first President inaugurated in the brand new Capital City, led the Democratic-Republican party. Formed in the 1790s, Jefferson’s Democratic-Republicans and Alexander Hamilton’s Federalists were the country’s, and thus the world’s, first political parties. The Democratic-Republicans believed in an agrarian-based, decentralized, democratic government. The Federalist Party came into being as a national coalition of bankers and businessmen in support of Alexander Hamilton’s fiscal policies. It existed from the early 1790s to 1816; its remnants lasted into the 1820s. In 1826, Andrew Jackson entered the White House, and Jefferson’s party split into Jackson Democrats and a party called National Republicans. In the 1830s Whigs (including Lincoln) replaced the National Republicans until the 1850s, when the Republican Party of Lincoln, the beginning of today’s Republicans, emerged. Jefferson walked to his inauguration in the clothes ‘of a plain citizen without any distinctive badge of office’, making the point that he and his party stood for the working people, farmers and small businesses rather than rich carriage-riding banking and business elites. Historians consider the rumor- and innuendo-filled 1800 campaign as one of the (if not the) dirtiest in American history. John Adams, Jefferson’s Federalist adversary, disdained the new President by avoiding the inauguration and heading home to Massachusetts before sunrise. The 1800 party fight had undercut Madison’s Federalist #10 assertion that a well-constructed Union tended to ‘break and control the violence of faction’. He called faction a ‘dangerous vice’. ‘Old friend and adversary’ captures a key aspect of Transpartisan politics. These two founders together worked on The Declaration of Independence, served in the first ten years of U.S. government, and fought over core principles of American life. From 1777 to 1826, with an 1801 to 1812 hiatus as adversaries, they corresponded about politics and life. These famous letters are regarded as masterpieces of the American enlightenment. The energies that bind people together personally create the vitality and space for passionate discourse. Transpartisan politics seeks to harness this vitality and expand this discourse. We are all Democratic-Republicans . . . we are all Americans.